Laboratories: John Gabrieli, Ph.D., Pawan Sinha, Ph.D.
Autism spectrum disorders (ASD) are neurodevelopmental disorders characterized by impaired social interaction and communication, as well as the presence of repetitive behaviors and restricted interests. It has been suggested that individuals with ASD are less able than typically-developing (TD) individuals to predict events and optimize their behavior based on predictions. Here, I propose to test the hypothesis that adults with ASD show reduced neural adaptation across multiple domains. Neural adaptation could be a brain mechanism that supports prediction by differentiating between repeating and novel events. Neural adaptation impairments are thought to contribute to multiple psychiatric and neurodevelopmental disorders, including schizophrenia and dyslexia, and reduced neural adaptation is associated with increased symptom severity in ASD. This research aims to test the scope and limits of the hypothesized deficit in neural adaptation, probe the mechanism of reduced adaptation, and examine the dimensional relation of neural adaptation to ASD traits in both typically-developing adults and adults with autism regardless of diagnosis. This research is of theoretical and practical importance as the prevalence of ASD is estimated at 1:68 and rising, and neural mechanisms underpinning ASD have yet to be identified. Given the pervasiveness of neural adaptation deficits across neurodevelopmental disorders, identifying mechanisms and behavioral correlates of neural adaptation could inform future trans-diagnostic clinical treatments. Laboratories: Guoping Feng, Ph.D., Robert Desimone, Ph.D.
activity from the midbrain dopamine neurons of these animals, which are known to provide an important motivational signal guiding attention and behavior. Eventually, understanding whether social reward signals are absent or abnormal in ASD model animals will be essential to understanding these disorders as well as to the design of behavioral therapies. Laboratories: Hazel Sive, Ph.D., Rudolf Jaenisch, Ph.D.
Social brain disorders affect up to 20% of the US population and comprise huge personal, family and economic burdens. The genetic basis for these disorders is complex, making diagnostics unreliable and personalized treatments unavailable. We will address this challenge with a new approach to identify molecular changes in 16p11.2 deletion syndrome patients. In this prevalent syndrome (occurring in 1 in 2000 individuals) part of chromosome 16 is lost, encompassing 25 genes. Deletion leads to severe brain symptoms including autism, intellectual disability and epilepsy. We hypothesize that the biochemistry (‘metabolome’) of brain cells (neurons) is abnormal in people with 16p11.2 deletion syndrome and that this contributes to symptoms observed. Using state-of-the-art metabolite profiling, we will examine the biochemistry of neurons derived from 16p11.2 deletion patient cells compared to unaffected sibling neurons. 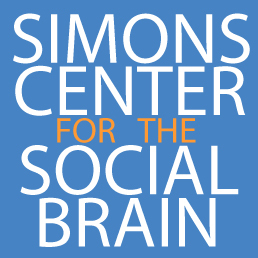 Neurons will be obtained from stem cells available through the Simons VIP Collection. We will further test whether three enzymes encoded by 16p11.2 genes are key contributors to metabolic changes, and to abnormal behaviors, using an animal model (zebrafish). The groundbreaking novel information obtained will inform treatment of 16p11.2 syndrome and set precedent for new ways to analyze multiple mental health disorders. Laboratories: Mark Harnett, Ph.D., Matthew Wilson, Ph.D.
Studies of sensory systems in genetic models of autism have paved the way for understanding the effects of genetic changes on synaptic transmission and single neuron responses. But how these neuronal-level changes produce network-level disruptions in the cognitive processes associated with autism remains largely unexplored. A key component for linking these levels is the integration of different synaptic inputs in the elaborate dendrites of individual neurons. Here, I will examine the contributions of these dendritic computations to network function in a complex associative behaviour. I have developed a novel virtual-reality method that allows us to precisely measure and perturb dendritic activity in mice in an easily trained, yet computationally complex 2d navigation task that provides the complexity required to engage associative cortical circuits, while maintaining all the advantages of head-fixed sensory tasks. By relating dendritic gating mechanisms at the single cell level to a tractable associative computation in mice, the study will bridge cellular-level and network-level mechanisms, providing fundamental new insights into how cellular-level effects of genetic changes in autism spectrum disorders can lead to network level and behavioural phenotypes. Laboratories: Kay Tye, Ph.D., Gloria Choi, Ph.D. Most animals live in groups organized by social hierarchies. By acting according to their social rank, animals decrease unnecessary aggression and save energy. Although hierarchies are central to successful group dynamics, the neural basis of dominance behaviors remains unknown. Autism spectrum disorders (ASDs) include debilitating social deficits. Many studies have provided evidence linking genes to ASDs behavioral deficits. However, there has been little progress in elucidating the neural circuits that underlie normal social behaviors. Identifying these circuits is crucial for developing targeted molecular therapies for ASDs patients. Mouse models of ASDs show deficits in ultrasonic vocalizations and other social behaviors. Mice, like humans in modern societies, have flexible hierarchies in which social rank is not inherited, but earned. These similarities – combined with the vast number of tools for circuit dissection–make mice a good model to investigate the neural dynamics of social hierarchy. Crossn species evidence suggests that the medial prefrontal cortex (mPFC) is crucial for social dominance behaviors. Given the role of the lateral hypothalamus (LH) in social behaviors, and its connectivity with the mPFC, it is well positioned to modulate social behaviors in a rankn dependent manner. By combining freely moving calcium imaging, optogenetic manipulations, and novel social assays, I will investigate the role of the mPFC to LH pathway in the appropriate expression of dominance behavior. Laboratories: Gloria Choi, Ph.D., Polina Anikeeva, Ph.D.
neural circuitry mediating social learning, but also will provide new insights into the regulatory role of the oxytocin neuromodulatory system in social behavior and memory formation. Uncovering the developmental and circuit origin of ASD-associated aggression. Laboratories: Guoping Feng, Ph.D., Kay Tye, Ph.D. In addition to core symptoms of social communication deficits and repetitive behavior/restricted interest, individuals with autism spectrum disorder (ASD) experience a wide range of other symptoms including aggression, an extremely challenging social disruption. Unfortunately aggression in the context of ASD is poorly understood due to a lack of good models. To address this gap, we will use a mouse model based on a mutation that contributes to 1% of ASD cases and leads to hyper-aggression in these people. Importantly, this increased aggression is also seen in the mutant mouse model. We will test where in the brain this gene is required for normal levels of aggression. We will also remove and restore expression of this gene at different timepoints to determine when it is possible to rescue aggressive behaviors. Together our results will for the first time identify a target brain region and a target time window for designing and testing therapies for aggression in ASD and other disorders. Laboratories: Polina Anikeeva, Ph.D., Guoping Feng, Ph.D.
As is consistent with the pathology observed in autism spectrum disorder (ASD) human patients, ASD rodent models frequently exhibit compulsive/repetitive behaviors, which hinder neuromodulation approaches that rely on invasive implantable devices. Since these models (e.g. Shank3-/- mice) are unusually sensitive to foreign implant objects, the behavioral observation and ASD circuitry investigation in these models may be altered by the implantation of optogenetic and electrical neuromodulation devices. In this proposed study, we will develop a minimally invasive neuromodulation tool for magnetothermal deep brain interrogation of neural circuitry in freely moving rodents. This approach will enable temporally and spatially precise chemical manipulation of neural activity by local release of designer drugs in response to remote exposure to alternating magnetic fields. We will achieve the implant -free convenience of magnetothermal neuromodulation together with the genetic prec ision of chemogenetics, and thus enable spatial and temporal modulation for behavioral investigation in ASD rodent models. We anticipate the magnetochemogenetics tool developed in this study will prove a powerful method for localized neural modulation and facilitate the investigation of circuits contributing to ASD-like phenotypes. Rett Syndrome (RTT) is a devastating neurodevelopmental disease with motor, developmental, and social dysfunctions. RTT is caused by mutations to a single X-linked gene that encodes the protein methyl CpG binding protein 2 (MeCP2). Because MeCP2 functions to both activate and repress many target genes, loss of function of this single protein has broad effects on neural circuitry. While structural and neural specific features induced by MeCP2 mutations have been linked to behavioral abnormalities, detailed molecular understanding is lacking by our inability to identify substrates of MeCP2 in specific neurons. My proposed research goal is to use novel mapping techniques developed in our lab—which can provide comprehensive structural and molecular profiling of the whole brain—to gain detailed molecular insight into the function of MeCP2 and its effects on RTT pathogenesis. Instead of traditional rodent models, I plan to use brain-like tissue, called brain organoids, derived directly from RTT patients to more faithfully recapitulate disease phenotypes and to increase throughput due to its facile scalability. Furthermore, I plan to grow brain organoids on a dish to screen for therapeutic compounds while monitoring disease progression over space and time. Individuals with Autism Spectrum Disorder (ASD) often have great difficulty interpreting and using nonverbal communication, understanding and navigating social relationships, and making sense of their own and others’ emotions. Many of these impairments can be understood in terms of deficits in social reciprocity – the ability to attend to, predict, and respond appropriately to the mental states of others – and are present in both more severely affected as well as “higher-functioning” individuals with ASD who have little or no cognitive impairment. A key challenge to studying the development of social reciprocity in ASD is that social interactions are fundamentally transactional, taking place within a system rather than in isolation, and that people affect and are affected by their interactions with others. A growing body of work in interpersonal physiology – the study of psychophysiological signals across two or more people – offers a powerful new means for non-invasive ambulatory assessment of affective synchrony and socio-affective dynamics in children with ASD. This proposal aims to further develop, validate, and disseminate tools and methods to enable the use of interpersonal physiological synchrony measures by researchers conducting both basic and translational research into social and affective functioning in ASD. Laboratories: Robert Desimone, Ph.D., Ian R. Wickersham, Ph.D. The optogenetics and genomic engineering revolutions have transformed neuroscience and are empowering major discoveries in neuroscience, but their translational potential is severely limited by the lack of any system capable of causing targeted expression of the required opsins and nucleases in specific types of neurons in human patients. We will use high throughput techniques to produce a set of viral vectors that will allow selective expression of transgenes in specific populations of neurons in the brains of wild-type animals. Along with many other applications, this will allow optogenetic control, recording, and targeted genomic modification of targeted neuronal populations in any species, with no need for production of transgenic or knock-in lines. This will have two transformative results. First, it will provide neuroscience with a versatile and powerful set of tools that will make possible a broad set of new experimental designs that are likely to yield major insights into the organization of the brain. Second, because the new tools are also designed to work in humans, it will allow the direct implementation in human patients of the powerful genetic techniques that are currently used almost entirely only in rodents. This is likely to result in important new therapies for disorders of social cognition and many other mental and neurological diseases. Laboratories: Polina Anikeeva, Ph.D., Gloria Choi, Ph.D.
Social deficits observed in humans with autism spectrum disorder (ASD) are hypothesized to be related to both genes and environment. It has been shown that ASD can be induced by maternal immune activation (MIA) during pregnancy. A recently developed MIA-driven rodent model is a promising research platform, considering that offspring exhibits disorder in social communication, repetitive behaviors, and characteristic phenotypical abnormalities at specific layers of the cortex as is commonly observed in ASD. The correlation between observed social deficits, phenotypical abnormalities at the different layers of cortex, and altered communication between cortical layers and down-stream structures require in vivo electrophysiological measurements and neuromodulation approaches for a better understanding of developmental reasons for ASD. In the proposed study, we will employ a multifunctional fiber-based neural probe design with fine spatial resolution that will allow us to execute optogenetic, electrophysiological and pharmacological experiments at different layers of the cortex simultaneously in freely moving mice. We aim to apply these tools to the development of a dynamic electrophysiological map of the disordered patch structure in a cytokine interleukin- 17a (IL-17a) dependent MIA-driven mouse model of ASD and compare it to the cortex of healthy controls. We anticipate that the optical and electrophysiological approaches identified within this study will find applications in a range of rodent models of ASD thus facilitating the basic study of this heterogeneous group of neurological disorders. Laboratories: Rudolf Jaenisch, Ph.D., Li-Huei Tsai, Ph.D.
K+/Cl- cotransporter-2 (KCC2) is an essential gene for proper brain function. Rett syndrome (RTT) is a form of autism spectrum disorder that show severe deficits in neuronal function. My previous work has demonstrated that restoration of the decreased KCC2 expression level in RTT neurons lead to recovery of impaired neuronal functions. In this study, we have developed a novel screening platform that utilize gene-targeted KCC2 reporter human neurons to identify compounds that increase the expression of KCC2. We will further test the effectiveness of candidate KCC2 enhancer compounds for treating symptoms in RTT animal models. The results from my proposed study will potentially lead to novel therapeutic strategies that target KCC2 to halt or even reverse the progression of RTT. Furthermore, the KCC2 enhancer compounds identified from human reporter neuron screening and further validated in animal model of RTT may be readily applicable to treating other types of autism spectrum disorders. Laboratories: Ed Boyden, Ph.D., Guoping Feng, Ph.D. I am developing a new super-resolution imaging technique that can image protein architectures over a large volume. I will use this technique to map multiple synaptic proteins over the whole brain in autism-model mice to comprehend the molecular mechanisms underlying ASDs. Laboratories: Gloria Choi, Ph.D., Jun Huh, Ph.D.
Human studies suggest that maternal viral infections early in pregnancy correlate with an increased frequency of ASD in the offspring. However, the neural basis of ASD-like behavioral deficits induced by MIA remains unknown. Currently, I am investigating the role of IL17Ra during brain development in autistic model mice. Laboratories: Li-Huei Tsai, Ph.D., Elly Nedivi, Ph.D.
influence chromatin folding, gene expression, and brain development. Laboratories: Rebeca Saxe, Ph.D., Emery N. Brown, M.D., Ph.D.
Each cognitive process is the result of computations performed simultaneously and interactively by multiple brain regions. In order to understand the neural mechanisms underlying cognition we need to study 1) how information is processed within individual brain regions and 2) how information flows between regions. I am currently investigating the human ability to acquire knowledge about other people, including recognition of person identity (from faces and voices) and recognition of emotional expressions, in neurotypical and ASD participants. I use fMRI and a combination of multi-voxel pattern analysis (MVPA) and connectivity methods to address questions 1) and 2) above. Use of CRISPRs for the removal of a spontaneous mutation causing abnormal Autism-like behaviors. My research is focused on a mouse model (Flailer) that shows early birth seizures and ASD-like behaviors caused by a spontaneous recombination event producing an extra gene. The goal of my research is to identify specific brain regions and pathways that are involved in the abnormal behaviors displayed by Flailer. To address this I will make use of CRISPR technology in order to specifically remove this gene in the different brain areas. Laboratories: Feng Zhang, Ph.D., Guoping Feng, Ph.D.
Ian is developing and utilizing genome-engineering techniques to study the genetic causes of autism. Laboratories: Ed Boyden, Ph.D., Martha Constantine-Paton, Ph.D.
To understand the synaptic underpinnings of autism, one must be able to address and read out biological processes at synapses. We are developing a class of optogenetic activators and reporters that can be targeted so as to enable control and readout of individual synapses between identified neurons. These tools will hopefully enable new frontiers in neuroscience and autism research to be addressed, enabling a synapse by synapse comparison of autistic and wild-type brain circuits in model animals. Laboratories: Edward Boyden, Ph.D., Hazel Sive, Ph.D. I am interested in the relation between autism spectrum disorders, aberrant neural circuit development, and neural circuit dysfunction underlying autism-associated behavioral symptoms. To shed light on this relation, I am applying and developing tools for monitoring and manipulating neural activity in larval zebrafish models of autism. Ultimately, my goal is to design high-throughput technologies that will allow characterizing neural circuit deficits in different disease models to identify neural targets for treatment as well as facilitate drug screening. In the current project we strive to correlate repetitive behavior under autistic conditions to the underlying mechanisms in the brain. To deconstruct the circuits involved we develop a novel neural probe architecture followed by its application in a model of autism. Laboratories: John Gabrieli, Ph.D., Margaret Kjelgaard, Ph.D.
My project aims to use simultaneous EEG-fMRI to understand the brain basis of human face processing among individuals with autism spectrum disorders. Combining EEG and fMRI allows us to accurately determine the timing and location of brain activity. Identifying the precise differences in face processing in ASDs could help us better understand the causes of ASDs and lead to more accurate early diagnosis. Laboratories: Rebecca Saxe, Ph.D., Elizabeth Spelke, Ph.D. Currently little is known about the organization of the social brain in infancy and early childhood, but understanding the neural substrates that support the typical development of social behavior will provide a necessary guide when investigating the neural bases of deficits in basic social behaviors. I plan to study the typical development of the neural systems that process socially relevant information (e.g. affiliation) and actions (e.g. social mimicry) using functional neuroimaging techniques (fNIRS and fMRI) with infants and children. Laboratories: Hazel Sive, Ph.D., Steven Haggarty, M.D. Recent work in autism genetics has found significant associations between autism spectrum disorders (ASD) and copy number variants (CNVs). CNVs are genomic regions that can containing multiple genes and vary in their expression between individuals (ie. instead of standard 2 copies of specific DNA region, deletion (1 copy) or duplication (eg. 3 copies) can occur). Among these CNV associations, the 16p11.2 CNV has one of the highest correlations with ASD. I am investigating the role of genetic interactions of 16p11.2 genes in brain physiology and behavior using the zebrafish. In the Chung lab, Sung-Yon is developing novel methods for rapid extraction of system-wide structural, molecular and genomic information from intact brain and applying them to understand function and dysfunction of the neural network at a global perspective. Laboratories: Kay Tye, Ph.D., Mark Bear, Ph.D.
My project focuses on elucidating the role of a subset of dopamine neurons in social behavior. I am employing optogenetics, freely-moving behavior, and in vivo and ex vivo electrophysiology to dissect this population at the neural circuit level, and investigate synaptic changes underlying social interaction. Laboratories: Alice Y. Ting, Ph.D., Xiaowei Zhuang, Ph.D. In order to gain a better understanding of the molecular processes involved in memory and learning in both healthy and dysfunctional synapses, we will map the nanoscale localization of key synaptic proteins such as AMPA and NMDA receptors and monitor their dynamics during plasticity events building on advances in fluorophore ligation and superresolution imaging techniques. We will then address how mutations of specific synaptic proteins such as neuroligins, which have been linked to autism spectrum disorder, influence the nanoscale “landscape” of excitatory synapses. Laboratories: Guoping Feng, Ph.D., Weifeng Xu, Ph.D.
Social interaction deficit is a hallmark symptom of Autism spectrum disorders, although only little is known about the neural circuitry mechanisms responsible for that deficit. Combining genetic, optogenetics, electrophysiological and behavioral approaches, I plan to define the brain regions and neural circuits responsible for social interactions using conditional knockout mice that present social abnormalities. Laboratories: Troy Littleton, M.D, Ph.D., Guoping Feng, Ph.D.
Shank is a well-characterized synaptic scaffolding molecule that is proposed to organize postsynaptic architecture. Along with several other genes that are involved in synaptic assembly and organization, SHANK has been linked to autism in genetic studies. I propose to mutagenize Shank in Drosophila and use this model to answer key questions about the mechanisms by which Shank regulates synaptic function and development. Laboratories: Li-Huei Tsai, Ph.D., Hazel Sive, Ph.D.
My research will determine how dysregulation of Wnt signaling contributes to autism spectrum disorders (ASDs). Recently, Chromodomain Helicase DNA-binding 8 (CHD8), a down-regulator of Wnt-β-catenin signaling, has been identified as an ASD risk factor. I will focus on investigating the molecular mechanisms by which CHD8 controls Wnt signaling during neural development and disease. Laboratories: Laura Schulz, Ph.D., Emily Feinberg, Sc.D. As a Simons Postdoctoral Fellow, Paul investigates individual differences in infants’ exploratory play behaviors (e.g. rate of habituation, sustained exploration, perseveration, inductive inference, pedagogical imitation, face preference) and whether they can facilitate early detection and diagnosis of developmental disorders such as autism and other cognitive impairments. Genome engineering in human pluripotent stem cells using TAL effectors to and differentiation into neuronal subtypes. Our project will deploy a novel, scalable 3-D microelectrode recording technology capable of recording extracellular neural activity from thousands of individually chosen sites in the mouse brain. Using mice carrying the Shank3B mutant gene, which results in autism-like mice, we will apply our technology to analyze how neural codes and computations differ during social behavior tasks in autism-like mutant and wild-type mice. Laboratories: Kay M. Tye, Ph.D., Li-Huei Tsai, Ph.D.
By using an innovative approach integrating cutting-edge optogenetic techniques, pharmacological manipulations and electrophysiological recordings in vivo, we will investigate how dopamine and stress can affect social behaviors. This approach will effectively and successfully allow us to thoroughly analyze fundamental neurobiological principles mediating social interaction and might provide useful information to understand social deficits in humans. Laboratories: Guoping Feng, Ph.D., Feng Zhang, Ph.D.
We are applying TALE nuclease to manipulate genome of rodent and human pluripotent stem cells for modeling of ASDs, and studying the functional consequence after mutation of ASD related genes at cellular, circuit, and systematical level.